Mrs. Kraft has her Masters in Middle School Teaching. This is her second year at DLA. She loves the DLA model and how invested the school is in helping students be successful. Mr. Lewis attended Sinclair Community College and received his Associates Degree in Liberal Arts. He also has a B.A. in Organizational Leadership. He has served as a mentor in the inner city group for 17 years, been a youth Pastor and a youth specialist at Omega Baptist Church and Fort McKinley Church. He loves the flexibility, resources and loving atmosphere of DLA. 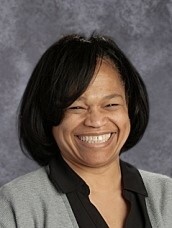 Ms. Lynn has a Bachelors of Science from Wright State University College of Education and Human Services. She has been working in the Education field for over 2 years and has volunteered with children for over 2 years before working with DLA. Ms. Lynn is dedicated to making sure our students have a voice and feel that they are important. "I found my passion for working with students at Dayton Leadership Academy and I could not imagine working anywhere else". Mrs. Myers is a Dayton native and joined the DLA team in 2012. 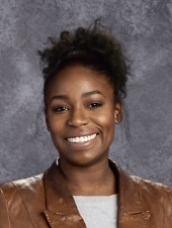 She attended Wright State University where she got involved teaching with Summer Bridge Dayton, a pre-college program for urban youth, and discovered her calling. 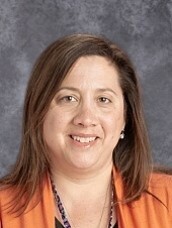 Mrs. Myers holds a bachelor's in Education and a Master's in Middle Childhood Education, both from WSU. She is licensed in Social Studies and English Language Arts. 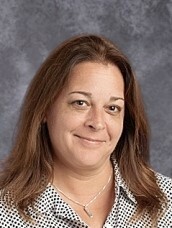 Besides academic subjects, Mrs. Myers loves teaching special interest clubs at DLA such as yoga and hip hop dance. 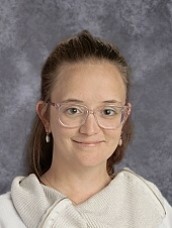 She enjoys serving as the Student Life Coordinator, which involves advising the student council and mentoring students as they transition from 8th grade to high school. B.a. English: Integrated Language Arts, Wright State University. Miss. Perryman is a Daytonian through and through. She attended both Sinclair Community College as well as Wright State University. She has experience volunteering for a variety of Dayton programs, including the Dayton Life Enrichment Center and Dayton Habitat for Humanity. Miss. Perryman worked in a variety of Dayton-area staples, including The Spaghetti Warehouse and Jimmie’s Ladder 11. There is nothing she doesn't love about this city! She loved everything about DLA right away. The staff, the students and how we come together as a community! Ms. Rickman has her Bachelor’s degree in Computer Information Systems and Business Administration. She also obtained her Masters Degree in Educational and Curriculum Instruction. She has 5 years experience in Mansfield, Ohio along with 14 years in California and 3 years in Virginia. She loves the welcoming atmosphere at DLA and feel at home! Ms. Sanders has her Bachelors and Masters in English Language Arts. She has 13 years teaching experience in Portland, Oregon and 3 years in Ohio. She is excited to be a new member of the DLA Team and work with our incredible students! Miss. Virasak attended attended Penn State University and received a degree in marketing. certified in 4-9 math as well as 7-12 English Language Arts. She enjoys the building relationships with students during class and outside of class in activities such as coaching volleyball. All of the staff and teachers are welcoming and friendly. I immediately felt like a part of the DLA family. 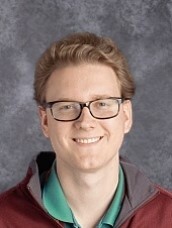 Mr. Weimer received his BS in Secondary Education from Indiana University. He is currently attending the University of Dayton in pursuit of a Graduate Degree. He is married, has three grown children, and also has a five month old grandson. He enjoys spending time with his family, playing golf, and listening to music.